Work is continuing on the Norman Tank directional drill operation. The work in that area should be completed late next week or early the week of 7/9/17 if everything continues to go smoothly. Work at the NSD plant is in the final stages. 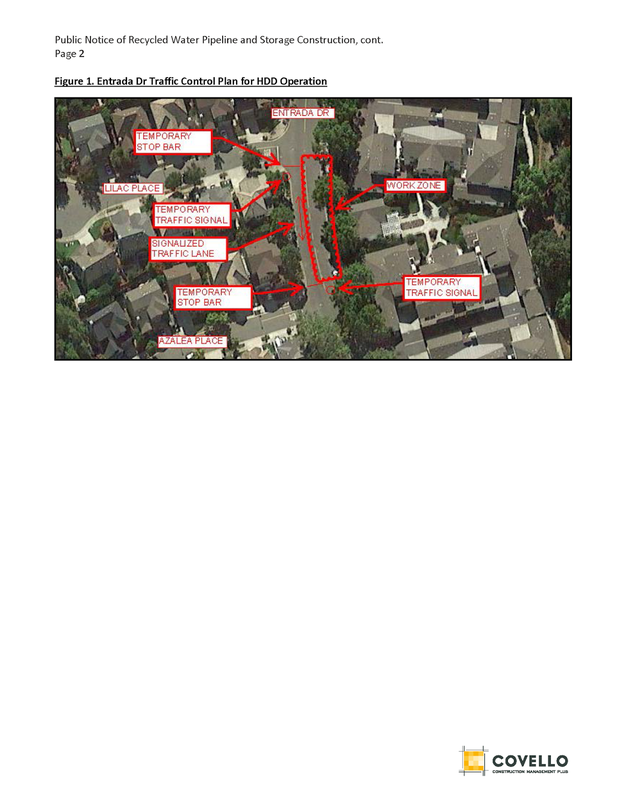 The pipe that has been installed on Vintage Way, Rowland Blvd, and Rowland Way is also being pressure tested. Pavement restoration for the entire alignment will start next week, likely after the 4th of July holiday. On Friday, 6/9/17, work will start with traffic control set up and equipment mobilization. 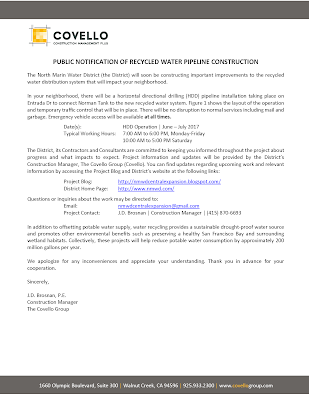 Below is a public notification letter that was transmitted to nearby residents and contains additional information about the traffic control configuration. Work will continue with 2 crews. 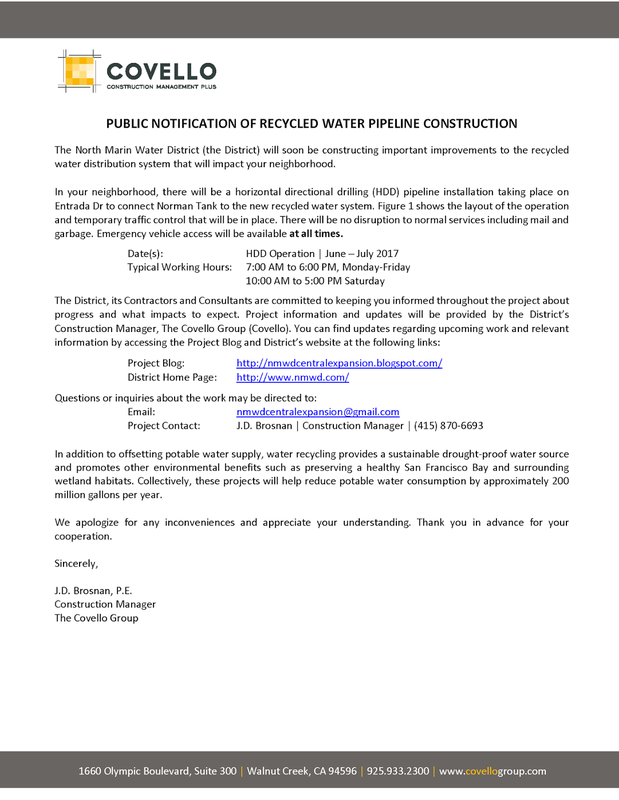 One will be at the Novato Sanitary Plant and the other will be working on sidewalk repairs throughout the alignment. The project is just getting underway. You will likely see some equipment being moved in through the access gate on Rowe Ranch Way.